Nurses are front-line healthcare workers. They are often the first healthcare professionals who patients see when they visit a doctor’s office, clinic, or emergency department. Nurses are also out in the community, working with people where they live and work – and go to school. School nurses play a vital role in helping children stay as healthy as possible, as well as dealing with health issues and emergencies that occur during school hours. In this role, school nurses are well placed to not only help spot and act on infections, but to help educate the students and staff of the importance of infection prevention and sepsis awareness. 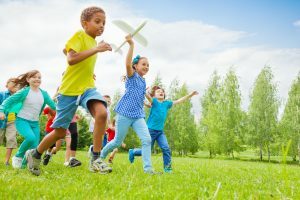 Although sepsis is the major cause of death within hospitals, up to 87% of sepsis cases originate in the community before patients are admitted.3 Sepsis in school-aged children can be triggered by any number of infections, from infected cuts and scrapes sustained on the playground, to infections, such as pneumonia, influenza, and meningitis. Many of these infections can be prevented or treated effectively if caught in the earliest stages, thus reducing the risk of sepsis. 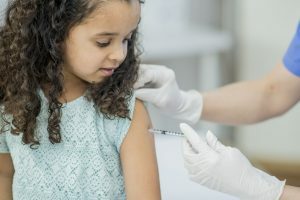 Meningitis affects children of all ages, but adolescents are at particular risk of contracting Neisseria meningitides, which may be prevented through a routine vaccine. In the US, vaccination against meningitis is recommended for adolescents. Washing your hands is the best defense against contracting infections, but too many people – children and adults – are not washing their hands as effectively or frequently as they should. Reminding staff about the importance of hand washing, as well as encouraging administration to make available waterless hand cleansers throughout the facility would likely increase compliance. Students should also be reminded about the importance of handwashing and soap and water should be readily available for them to do so. This simple step can help reduce the incidence of infection caused by bacterial infections, such MRSA, and viral infections, such as influenza. Every person who works with children knows the types of injuries and illnesses that can occur. When teachers and other staff members are knowledgeable about basic signs and symptoms of infections, they can be the ones to draw attention to the situation. Teachers are not nurses and are not expected to be, but arming them with sepsis knowledge could save lives. The Sepsis 911 Information Kit, a program aimed towards the public, provides school nurses with a prepared presentation and a consistent message about what sepsis is, how it may be prevented, and how it is treated. The program was written with the general public in mind and has supporting materials for the presenters. September is Sepsis Awareness Month, which coincides with back-to-school. Infection prevention and sepsis awareness could be incorporated with back-to-school activities. challenges. As more children survive severe sepsis and septic shock, school nurses may see more children with complicated medical needs. 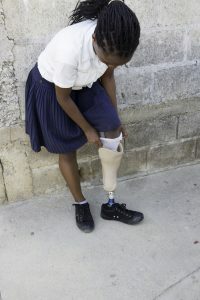 These children may be struggling with any number of issues, ranging from lasting effects of major surgery, amputations, dialysis, chronic pain/and or fatigue, hair loss, even PTSD. They may be unable to perform academically as they did before, or participate in activities, such as clubs and sports. All these issues can present school nurses with challenges as they work with teachers, administrators, parents, and the children to develop care plans that will allow the children to continue with their education despite their recent health scare and current challenges.